At 17, Samatha Mwase is a mother of a three-year-old. She married a fisherman at 14 when she was in Form Two at Viboko in Nkhata Bay. Her parents were convinced she was ripe for marriage. “I wasn’t necessarily forced to marry, but I did what many girls in my community do,” she says. For Samantha, all seemed well until she got pregnant. “After four months, he started beating me and subjecting me to verbal and psychological abuse. Love had melted away,” she explained. Eventually, she fled back to her parent’s home where she lived peacefully until the birth of her baby. However, they were struggling to take care of her and the baby when Girls Empowerment Network (Genet) approached the teen mother and persuaded her to go back to school. She did not waste time, but re-enrolled at the community day secondary school where she joined a girls’ club which persuades other dropouts to go back to school. The club gives girls a safe place to share common challenges and how to overcome them. They encourage each other to remain in school. Besides, Genet offers them guidance and counselling. Having experienced the hardships of child marriages, Samantha uses her knowledge to fight against early marriages—and four girls have opted to return to school. “I tell them that there is life after marriage if we go back to school. There is no justification to being subjected to an abusive man when we aren’t ready for marriage,” she says. She censured some cultural practices, indifference and poverty for fuelling the misconception that girls are ready to marry as soon as they begin menstruating. Samantha shared her story with over eighty young Africans from over 30 countries at the 2017 Psychosocial Support (PSS) Forum in Arusha, Tanzania, last week. The conference was organised by Regional Psychosocial Support Initiative (Repssi) which works with 13 countries in East and Southern African region. 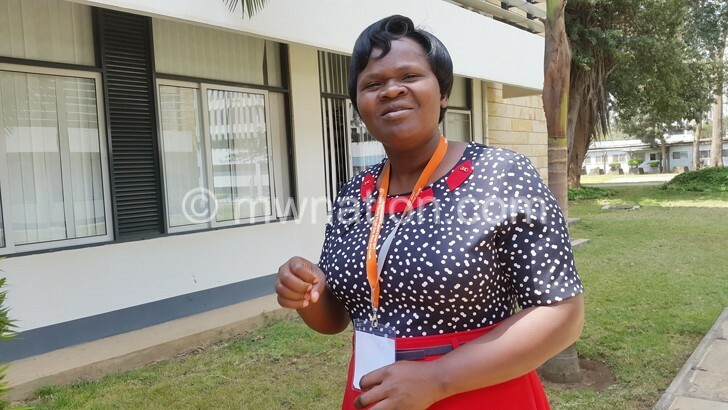 According to Repssi chief executive officer Noreen Huni, the organisation trains providers of psychosocial services in community-based work with children and the youth. It also trains teachers in psychosocial support and care to help them effectively support learners who may have gone through difficult situations as did Samantha. Presently, Repssi is working to eliminate child marriages in Angola, Malawi, Mozambique, Tanzania, Uganda, Zambia and Zimbabwe. “Over 300 people have been reached by this programme. Repssi is proudly working with regional economic borders and supporting their desire to come up with guidelines and frameworks. At the same time going down further to the national levels to help them contextualise those frameworks,” says Huni. Samantha is just one of almost 5 000 Malawian girls rescued from child marriages since 2012. While waiting to return to school, Samantha rears chickens and grows beans for sale. She saves the proceeds for her tuition fees and basic learning materials. Chief social welfare officer Dina Gumulira said the Ministry of Gender, Children, Disability and Social Welfare has been equipping community leaders, non-governmental organisations, community-based organisations and other providers of childcare support with skills to identify girls married before their 18th birthday. The ministry uses The Journey of Life, a checklist which empowers community leaders and change agents to figure out breaches of the law which outlaws marriages involving girls below 18. The tool, developed with funding from Reppsi and participation of community members, is helping Malawians identify and tackle challenges affecting the youth. The locals are increasingly working together to withdraw school dropouts from marriage. “Despite limited resources, the Journey of Life becomes handy to help community members think, share and find solutions to major problems,” says Gumulira, who shared milestones achieved in the ‘Journey of Life’ in Arusha.